Appreciate the collections at Hyde Park Barracks Museum and Powerhouse Museum. 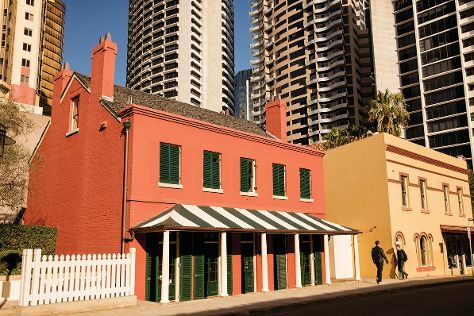 Do some cultural sightseeing at The Rocks and Justice & Police Museum. There's still lots to do: browse the eclectic array of goods at Sydney Fish Market, stroll through Manly Beach, take in nature's colorful creations at Royal Botanic Garden Sydney, and admire nature's wide array of creatures at Sea Life Sydney Aquarium. For maps, more things to do, photos, and more tourist information, read Sydney trip planning website . If you are flying in from New Zealand, the closest major airport is Sydney Kingsford Smith International Airport. In June, daily temperatures in Sydney can reach 21°C, while at night they dip to 11°C. Wrap up your sightseeing on the 9th (Sun) to allow time to travel back home.